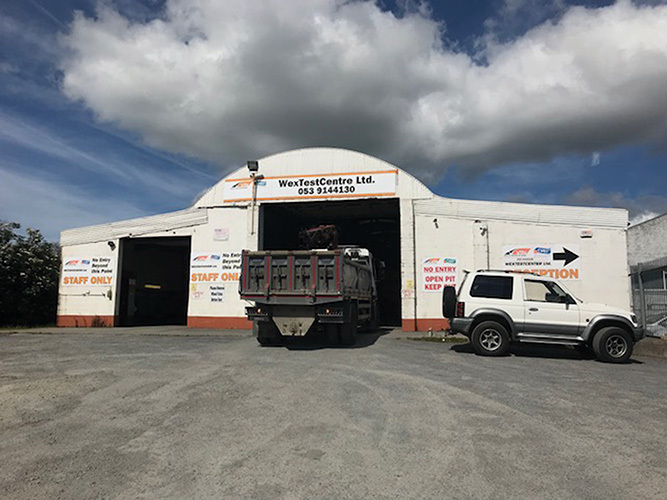 Previously known as Sean O'Leary & Son Commercials, Wextestcenter Ltd. is one of Ireland’s longest-established and busiest commercial vehicle test centres. Irish Trucker touched base with founder / managing director Sean O’Leary Snr. and discovered that the Wexford man is extremely passionate about playing his part in ensuring that the roads are a safer place for everybody. The CVRT was introduced to Ireland as the DOE test in 1980 and Sean started testing commercial vehicles shortly after. “It has improved safety levels and the quality of vehicles on the road no end,” he notes. “People who are working in the CVRT side of it are proud of the work we do and we get great satisfaction from knowing that a vehicle leaves our premises in a roadworthy condition and, that if there is an accident, then it was purely an accident and not the result of a defective vehicle. “Even though obviously we all want to make money, this is not just a business; it’s a very serious role we have when it comes to checking vehicles. Vehicles are much faster now and more powerful and there are more of them on the road than ever before, all competing for the same space. Everybody is in a hurry and drivers’ hours are limited. Wextestcenter tests the full range of commercial vehicles – from the smallest van up to the largest truck, including buses, coaches, ambulances, hearses, etc. etc. They also look after tachograph calibration and vehicle plating so that owners can prove that their vehicles are operating within the law. Each tester attends a course every three months to remain fully up to speed and they are all highly motivated in ensuring that they continue to operate at the highest levels of professionalism as demanded by the RSA. “It’s a very open and transparent system, where everybody knows what’s happening. The bottom line is road safety and they all know a vehicle is safe once it comes through the test. “The system we have in place here is exactly as set down by the RSA. Essentially the same system you would get anywhere in Europe and the test is very rigorous. In fact, the test here in Ireland is superior to a lot of countries in Europe. The RSA wants the regime here to be the best in Europe and that’s a very good thingto aspire towards, which I have to commend. Unlike many other test centres, this one takes in vehicles from a wide catchment area. “We’re quite unique with this location, on the Rosslare Road out of Wexford,” says Sean. “A lot of the traffic is going to the boats. People in transport know we are here and, if they are going to be passing by, they can leave home an hour earlier and have the vehicle tested as they are passing. 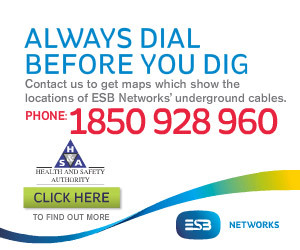 This is why we have such a wide range of customers, from West Cork to Wexford, it’s just as convenient for them to drop in to us as to go anywhere else as we are just off the roundabout and on their route. “It’s all about location, location, location and we are in a very good one. But you still have to do the job right and make sure the vehicle is roadworthy. You can’t give the certificate out in a cavalier way, nor should you be expected to – people should be proud of the fact that their vehicles are roadworthy. As a family-run operation, Wextestcenter provides a personal and friendly touch. Sean runs the business in conjunction with his son, Sean Jnr. His late wife, Kathleen, who sadly passed away in December, was instrumental in the growth and development of the business from its inception, while daughter-in-law Deirdre is also a key part of the trusty team.